Christmas comes around quick doesn’t it!? 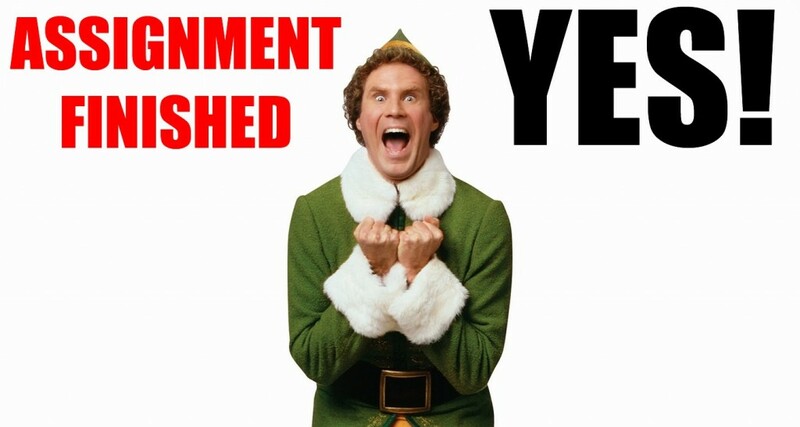 One minute you’re moving in to halls for the term, the next you’re back off for a fortnight! It’s hard work being a student but before you pack your Christmas hat, Playstation and elf onesie don’t forget your end of term submissions! During November our team of Student Advisors ran a series of 10 drop in sessions to answer all your queries about online submission. If you missed these, don’t worry! Our Student Advisors are based at the Ask Desk and are available 11-4pm during weekdays and we’ve also drawn together some good practice in this blog post to ensure that your submissions over the next week (or so) go as smoothly as you could possibly wish for. There are always chances of uncertainty, but with a little thought and preparation (like a good Christmas present) you’ll be riding as high as Father Christmas himself as opposed to slipping up on black ice. 1. On the first day of Christmas, my true love sent to me…. Your first port of call for help with submission should always be your tutor. They know where the submission dropbox is in Learning Edge and will be able to point you in the right direction. Please ensure you follow any guidelines you have been provided with. If you need further help submitting your work online, you can also speak to a member of staff at the Ask Desk (9am-7pm weekdays) or you can Ask Us online. Keep your tutor informed of any problems you may have, especially in the days leading up to a deadline – it helps them to keep track of your progress and ensures they can help you quickly if need arises. If you can’t get hold of your tutor, give your departmental administrators a visit. 2. On the second day of Christmas, my true love sent to me…. @EdgeHillVLE provides scheduled Learning Edge maintenance alerts and up to date system notices around different technologies used within the VLE such as Turnitin. @Turnitinstatus is the official feed for Turnitin system status, you may find that Learning Edge is fine but Turnitin is unavailable. Checking this feed will help you diagnose an issue with Turnitin submissions. Let’s say everything is OK technically and you have an issue around the online submission process and Learning Edge? A good starting point would be to head over to the Ask Us service and see if your question can be answered here. If you can’t find the answer you’re looking for, you can simply type your question and we will discuss it with you in real time using our live chat facility. 3. On the third day of Christmas, my true love sent to me…. Why is it you get a technical problem right at a critical moment? If you have given yourself time, you should be able to try another PC if you run into problems. We know that anything could happen at any moment; internet dropping out, PC crashing, wireless not connecting the list goes on, so give yourself a break and some time to try out another computer – in university, in work or even your mate’s PC. If it’s just not happening for you, see the first point (keeping in touch with your tutor). One quick solution could be to try a different browser. The common ones are Internet Explorer, Firefox and Chrome (although you may wish to try Safari on a Mac). Often, tutors will allow multiple submissions to an online drop-box, so you may be able to use this to your advantage. Check with your tutor and if this is the case, try submitting your work, even if not quite finished yet, to the drop-box a few days before the deadline just so you’re up to speed with the process before your final submission. Waiting until 1 minute before the deadline isn’t the time to start figuring out how everything works! 4. On the fourth day of Christmas, my true love sent to me…. 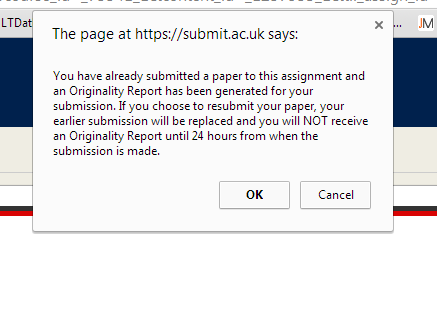 It may come to the time of doing your ‘final’ submission but if in Turnitin you have submitted an earlier version you will find that when you submit again everything looks the same…at least for 24 hours. You will have to wait until the next day to see your new originality report and the preview of your updated document – another good reason to be organised and get your work in handy! Remember at the second stage of submitting to Turnitin you can check what you are about to submit just to be certain you’ve attached the right file. 5. On the fifth day of Christmas, my true love sent to me…. The Uniskills online submission page is something definitely worth bookmarking to your browser favorites. 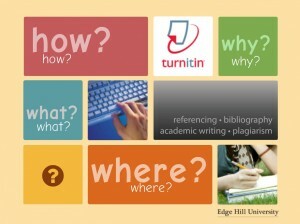 Here you can gain access to all online submission guides and the online Turnitin toolkit (see below). We know that when that deadline is approaching it’ll be stressful enough without unexpected niggles, so try not to leave your submission till the last minute. This echoes all points above but if done correctly will ensure the final moments before you click ‘Submit’ will be as stress-less as possible. Once all done, sit back, put your feet up with a nice cuppa and enjoy your Christmas holiday. Remember, if you have any problems Keep Calm and Ask Us! This entry was posted in Blackboard, eAssessment, FAQ's, Learning Edge, Turnitin and tagged ask us, askus, assignment, blackboard assignment, eam, eassignments, esubmission, student, Student Engagement, turnitin by Mark Wilcock. Bookmark the permalink.